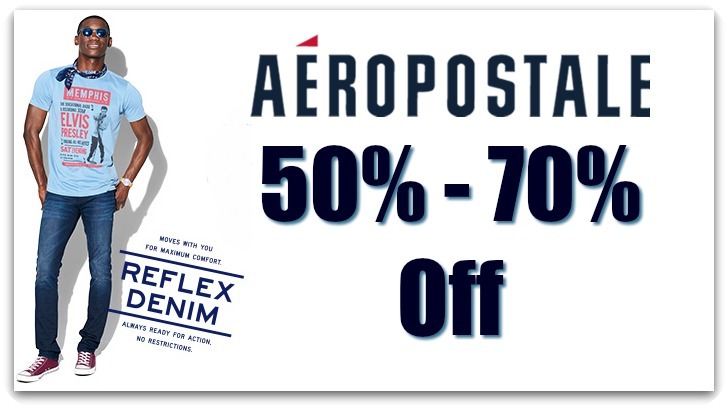 Aeropostale: 50% to 70% Off Everything Summer Blow Out! In addition to the sale, get an additional 40% off girls and active clearance with promo code EXTRACLEAR. You can score graphic tees here for as low as $5.00 (reg. $24.50) or hoodies here for as low as $12.00 (reg. $39.50). Shipping is free on orders of $75.00 or more or choose a flat rate of $5.00 if the order is under $75.00.